If you remember here I did a furniture makeover on this old dresser. I used a deep yellow to give the piece the PUNCH that it needed to update it. It sold in a matter of days. Yellow captures the joy of sunshine and communicates happiness. It is perfect for kitchens, dining rooms, and bathrooms, where happy colors are uplifting. In halls, and small spaces, yellow can feel expansive and welcoming. 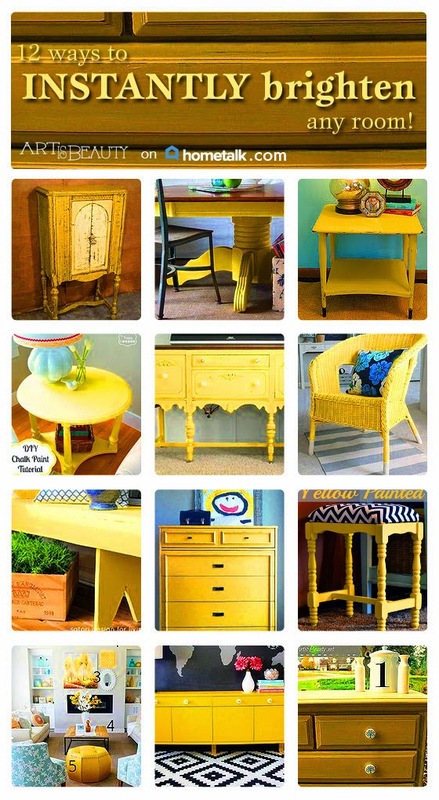 where so many talented people used Yellow to brighten a room. You can see lots of great examples.